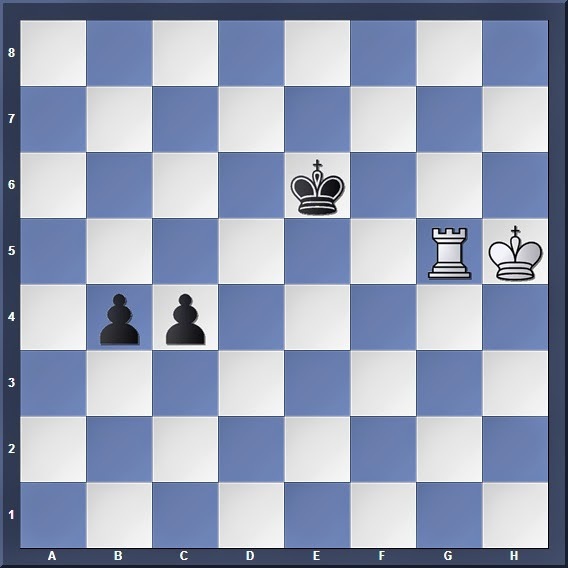 In the final part of this series we shall wrap up by looking at an interesting example of the struggle between the rook and the connected pawns. Here, the main themes of this topic are illustrated clearly: The pawns trying to get beyond the 6th rank, and the rook + king working as a team in an attempt to block them. White to move makes use of the familiar motifs: Placing his own rook behind the enemy pawns, giving checks when necessary, and using his king to get in front of the pawns. 1. Rc5 also wins after 1... c3 (White must be careful not to attack the wrong pawn, because after 1. Rb5? c3 2. Rxb4 Kd5 3. Rb8 Kd4 we reach a familiar drawn position) 2. Kg4 Kd6 3. Rc8 Kd5 4. Kf3 Kd4 5. Ke2 b3 6. Kd1 reaching a similar position to our main line. White's mission is always the same: Do not let Black's pawns get beyond the 6th rank until the White king reaches them first! White's king has successfully managed to block the pawns, and winning them should only be a matter of technique. For Black to move, he must be careful in which pawn he chooses to advance. 1... b3? 2. Rb5 Kd6 3. Kg4 Kc6 4. Rb8 Kd5 5. Kf3 Kd4 allows White to get his king in front of the pawns, which is not what Black wants. 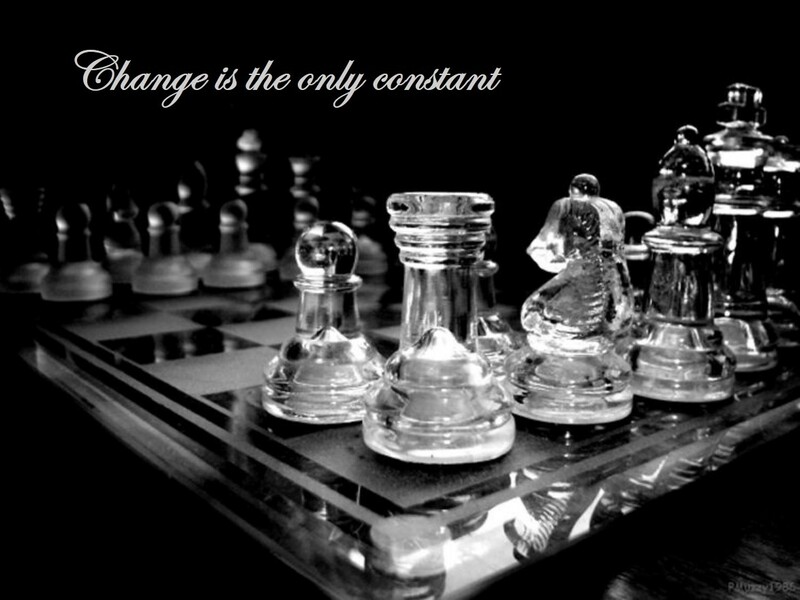 Black's king needs to support the pawns' advance if they are not to be plucked off by the rook. Looks familiar? The concept of direct opposition is the only one that saves the win for Black! On the other hand, 4... Kd4 5. Kf3 leads to a draw as White's king is able to get closer to the pawns. A trickier try is 5. Rc4+ Kd3 6. Rxb4 c2 7. Rb3+ but after 7... Kd4! (7... Kd2? 8. Rb2 is a draw) 8. Rb4+ Kd5 9. Rb5+ Kc6 10. Rb8 Kc7 White's rook can no longer stop the pawn. Black's king is safe from the rook checks, and White's king is too far away to stop the promotion of the pawns. From this example you can tell the many themes that we have went through throughout our study of rook vs pawn endgames: Opposition, getting/stopping the pawns beyond the 6th rank, Tarrasch's Rule (placing the rook beyond the pawn) and many others. Hopefully y'all can take this opportunity to revise most of these basic concepts as you try to master the battle between the rook and the connected pawns.